Wherever Sabrina goes, magical adventure is sure to follow. 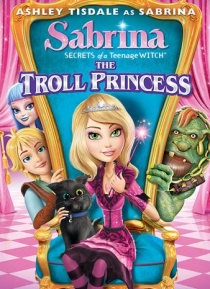 Sabrina must call upon all her powers and charms in these exciting, fun-filled escapades that include saving her school from an Ice Giant, learning to deal with suddenly becoming invisible, and being crowned a real-life princess--by a group of trolls! The enchantment never ends...with Sabrina the Teenage Witch!